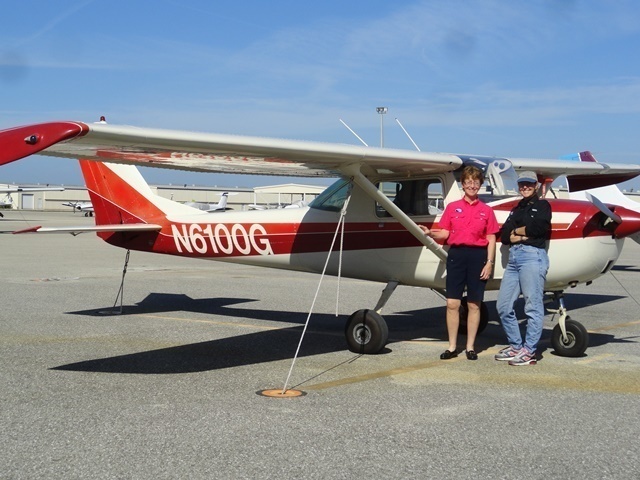 Roxie Red Plane - Aviation Adventures, Inc.
2015 "No Limits Girls Aviation Program"
Our mission: to provide aviation education and career development for women and disadvantaged youth, especially girls. Emphasizing STEM education concepts, we encourage young people to apply this knowledge in preparation for careers in all aspects of aviation, including clerical, technical, management and pilot careers. Our programs emphasize using aviation to enhance self esteem, and to promote team building, and leadership training. 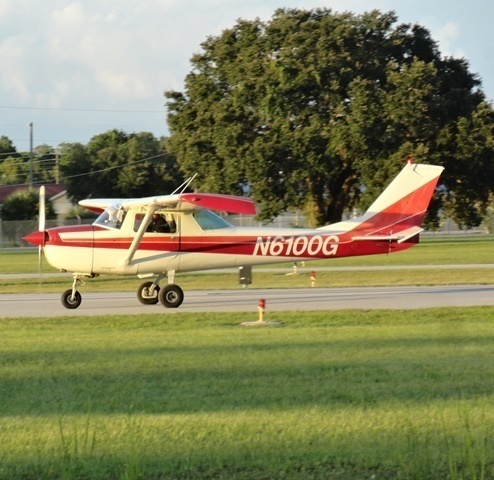 Please Support Aviation Adventures, Inc..
We have a Cessna 150 aircraft to use to provide a FREE airplane and FREE instructor so economically disadvantaged youth can experience the joy of flight and earn their private pilot certificate. Her name is "Roxie Red Plane". She is perfect for our girls. Now we need funding more than ever to carry out our mission of flight training and aviation education. 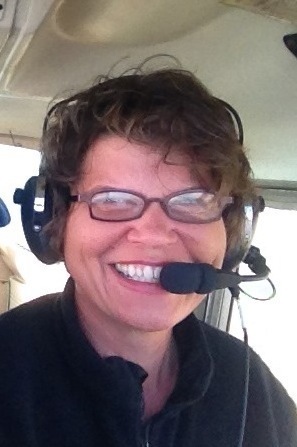 But "youth" is not just defined by age .... Aviation Adventures is committed to growing the female pilot population as well by offering deeply discounted aircraft rental for economically disadvantaged women who possess that burning desire for flight. ..... and Roxie is now a working girl. She has her first student, Paradise Coast Chapter 99, Joelle Petersen. 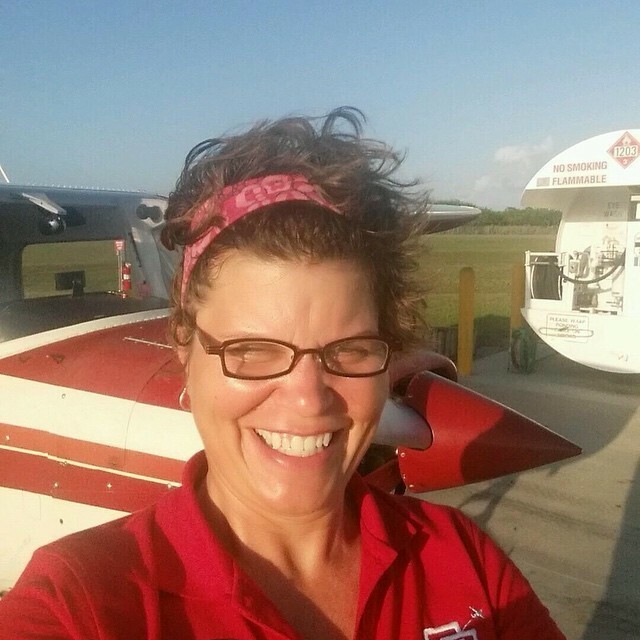 Joelle passed her written exam on January 8, 2015 and is ready to blast off toward her goal of attaining her private pilot certificate. Go for it, Joelle!!! 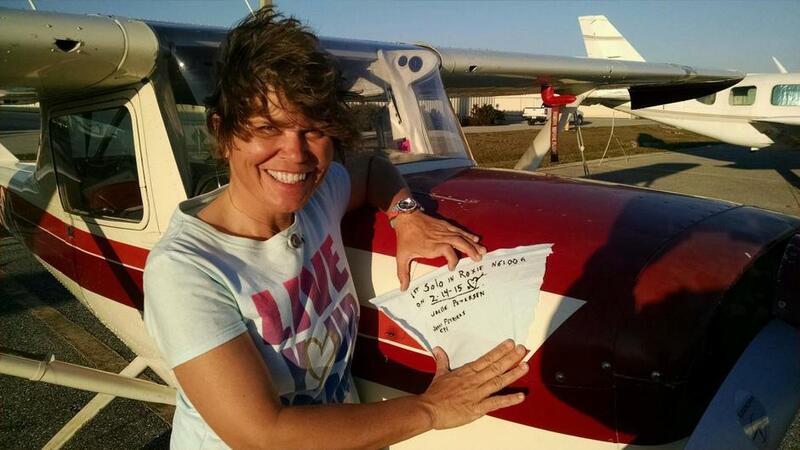 Joelle was awarded the 99s Fly Now Scholarship to help pay for her instructor and flight training expenses. Such a sweet Valentines Day 2015. 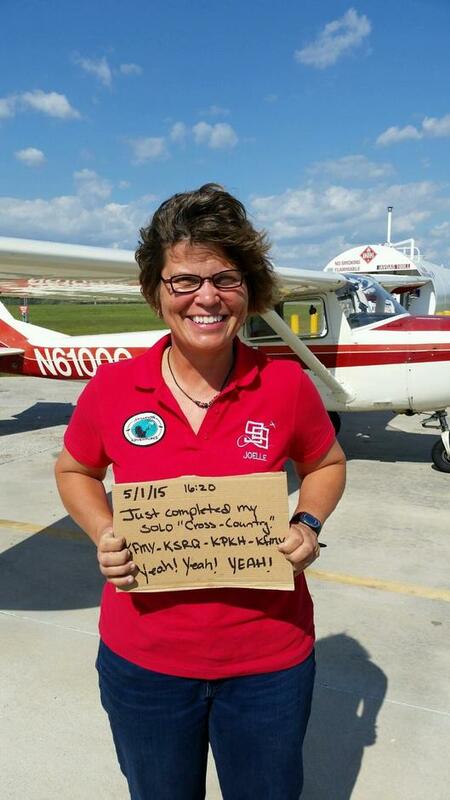 Roxie Red Plane soloed her firs student - way to go Joelle! March 15, 2015 is a great day for Joelle. 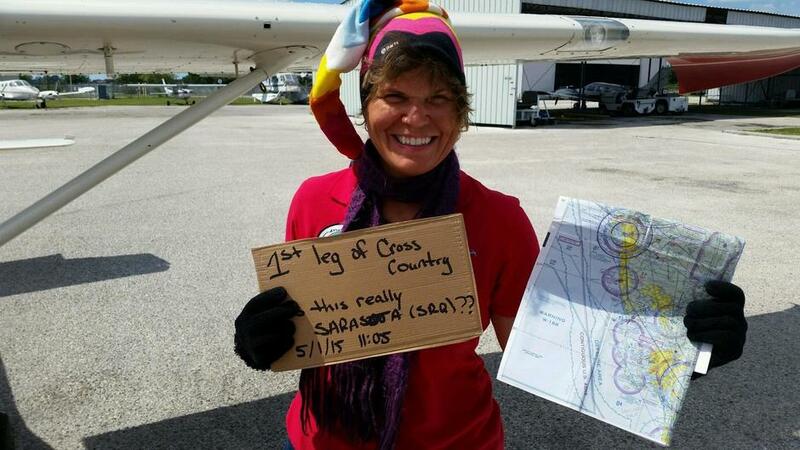 She was signed off to leave the home base airport solo and she flew solo from Fort Myers, Page Field (KFMY) to Punta Gorda (KPGD) and LaBelle (X14). Such a great accomplishment! Her feathers are developing nicely. with traffic. Congratulations, Joelle. We are so proud of you. Please keep up the great work!